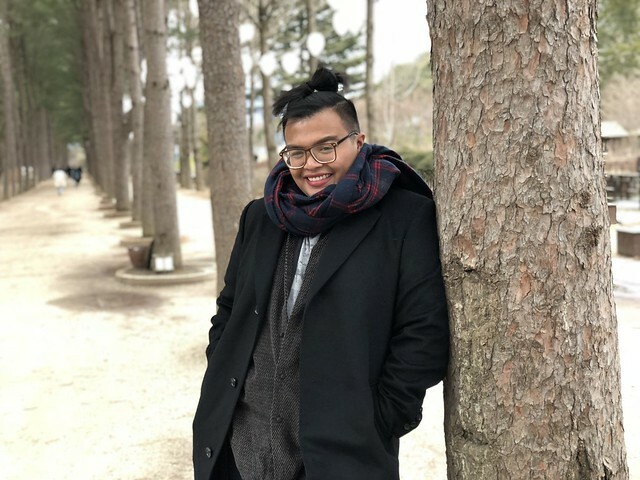 The most popular place to visit for tourists who’d like to go outside the city and visit other places are in Chuncheon which are Nami Island, Petite France, Garden of Morning Calm and other places in Gangchon. On the other hand, I haven’t visited some of the above-mentioned places because I want to reserve that on my next visit. But there are more things that tourists can visit when exploring Chuncheon. 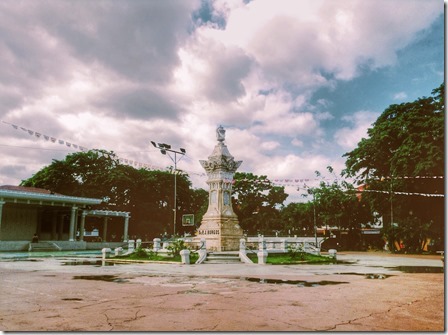 KoreaTravelEasy helped us visit those place that I know you’ll surely love. 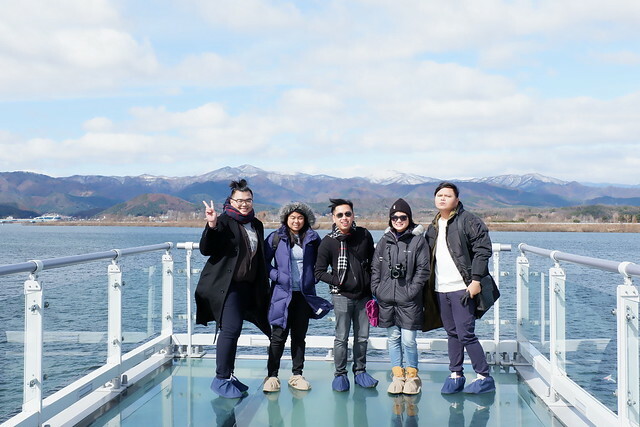 Read more about our Chuncheon trip to know the places we visit other than Nami Island. Soyanggang skywalk is an observatory facility stand in Uiamho Lake. It offers an experience of walking over the lake with its transparent glass steps. It’s our first stop in our trip. 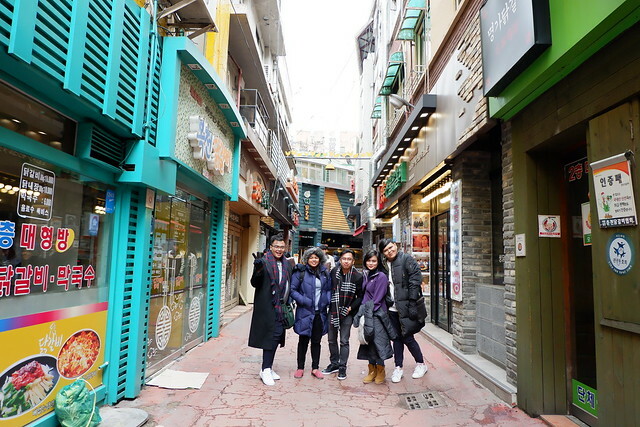 It was freezing when we visit Chuncheon area, colder than Seoul. We arrived at the Skywalk without other tourists, we have the skywalk on our own that time. 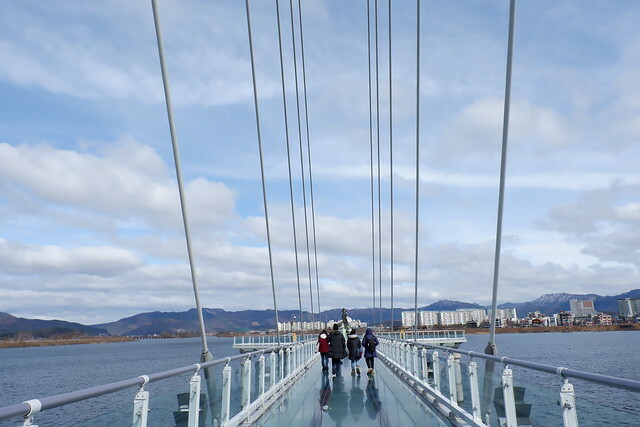 It was really fun taking photos of each other enjoying the skywalk while having Chuncheon area and Uiamho Lake as a background. Around 1980s, Yuk Lim Street is one of the largest commercial area. There are a lot of old pub along the street. It has Makgoll Village, a traditional rice wine, and it is getting response from a lot of millennials who ae reviving the old atmosphere of this place. 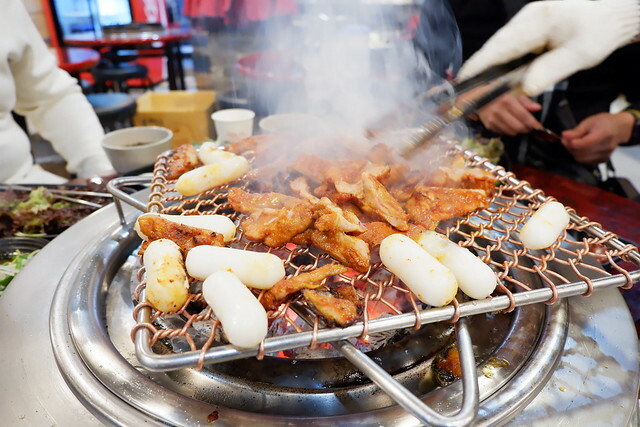 Unlike the street in Seoul which has a lot of fashionable stores and skincare boutiques, but Dak-galbi Meyongdong Street in Chuncheon is a stretch of Da-kgalbi restaurants or chicken restaurants. It was formed in the 1950’s and now one of the most famous Korean food. Dak-galbi is a stir-fried chicken mixed with spicy seasoning which is fried on a large pan with various veggies. But my favorite is their charcoal dak-galbi. I love its smoke flavor with a kick of spicy season that goes perfectly with the tenderness of the chicken. 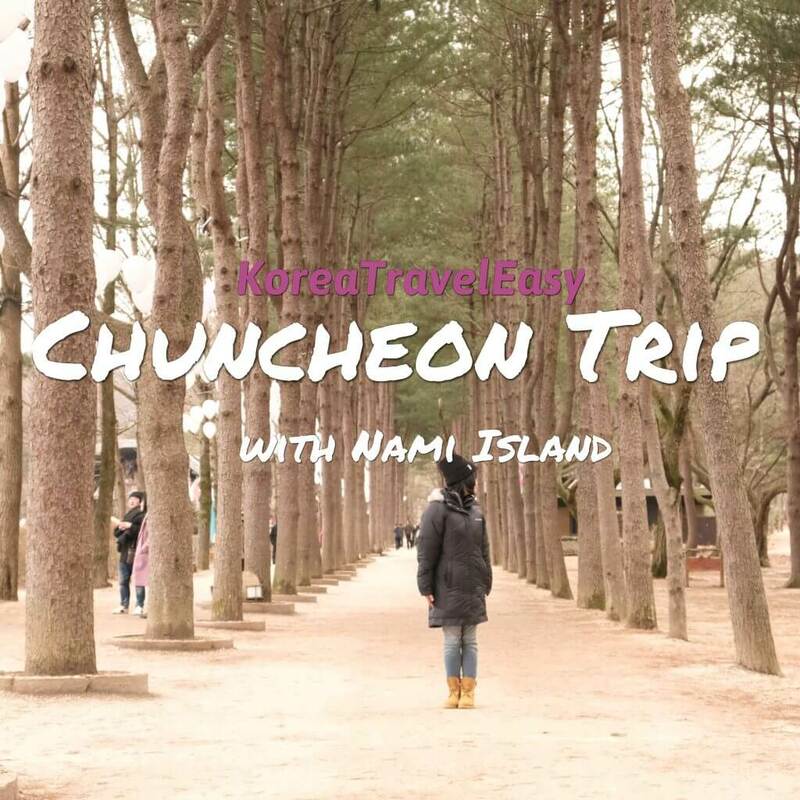 You should check out this place when you visit Chuncheon! Nami Island is a half-moon shaped isle and the grave of General Name, who led a great victory against the rebels during the Joseon Dynasty under the reign of King Sejo. 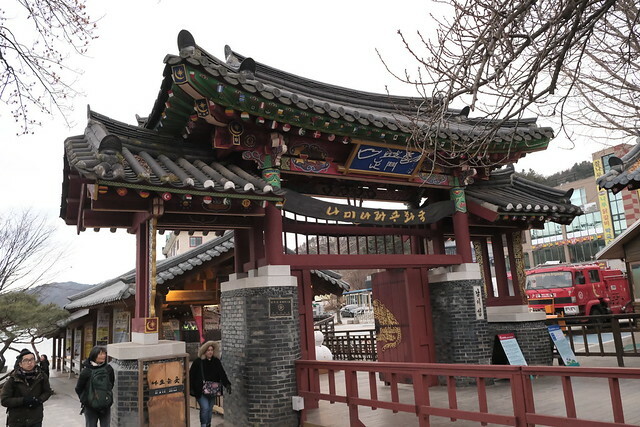 It has always been the go-to place for a lot of tourist who visit Seoul because of its beautiful sceneries and charm. It is our last stop for our Chuncheon trip. Though two hours is not enough to go around the place and fully explore it, but we had fun, we get to see the most famous spot where tourist take photo with rows of trees as their background. Also, enjoyed the remaining snow in the area. The time we had was packed with beautiful memories with my friends! 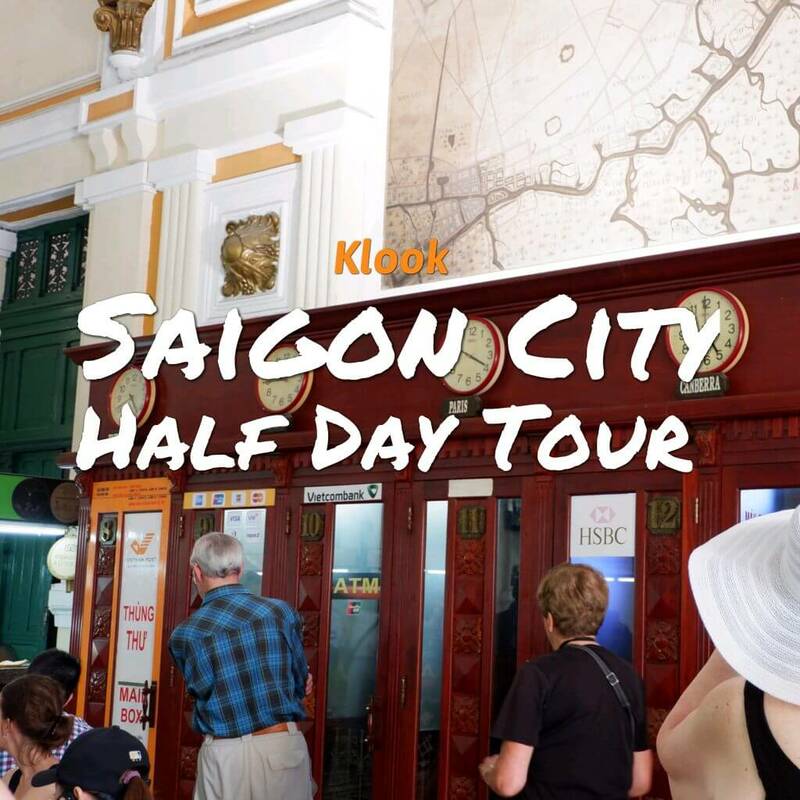 KoreaTravelEasy is a one-stop travel booking platform for both local and foreign travelers who likes to travel worry-free and easy. They helped us go around the Chuncheon area. We were picked up at Hongik University Station Exit 8 with private van, driver and English-speaking tour guide which is Olivia! 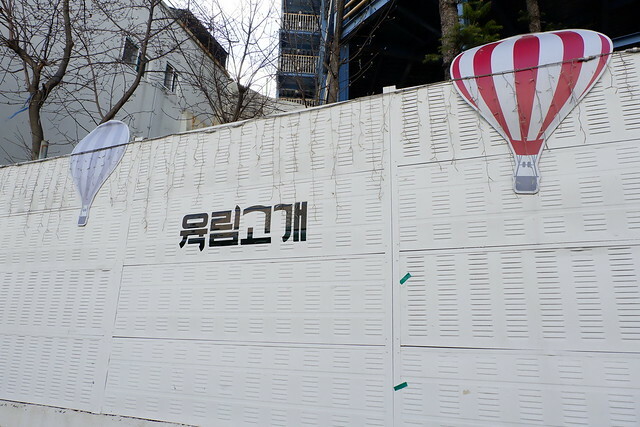 We visited Soyang River Skywalk, Dak-galbi Myeongdong Street, Yuk Lim Street and Nami Island. There’s a lot of shopping stores in Chuncheon Myeongdong Street. 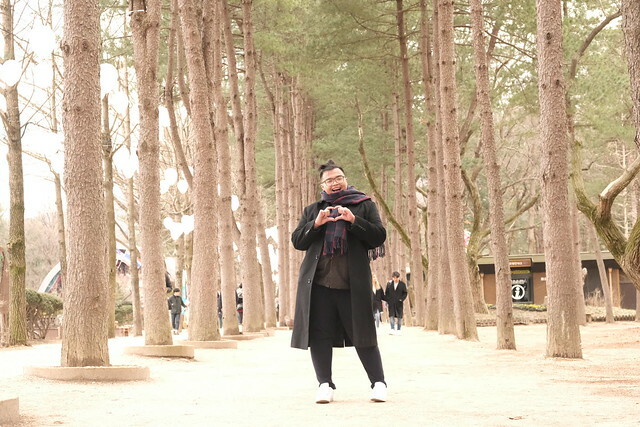 Originally, we will also visit the filming location for Winter Sonata and While You Were Sleeping but we opted to spend time eating at the dak-galbi restaurant because we haven’t watched those K-Drama. Then for our last stop is Nami Island, Olivia took care of our transportation to Nami Island because we have to ride a ferry to explore Nami Island. Then after 2-hrs we went back to Seoul. 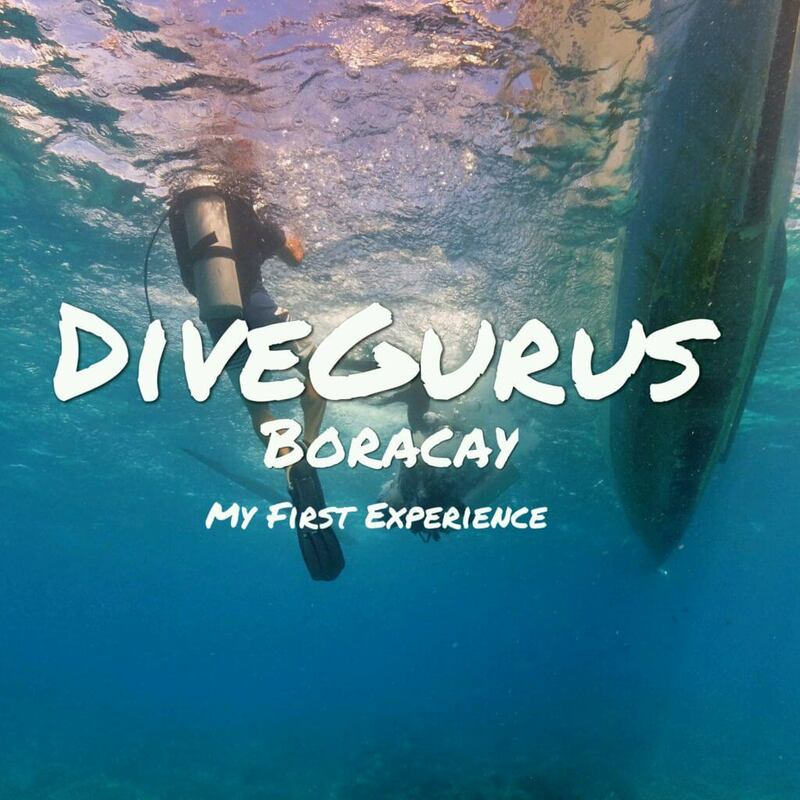 It was an experience because we got to visit different places that not all tourist has seen yet. The staff were really nice and friendly, Olivia is always smiling and laughing at our joke that made the trip extra comfortable. They also gave us T-Money Metro Card for free after the trip. I would recommend this trip to other tourists who’d like to see Chuncheon and of course dive in the dak-galbi street! 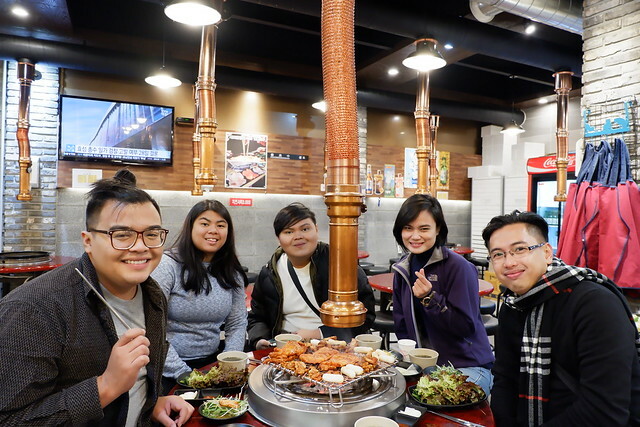 Book your Chuncheon trip at KoreaTravelEasy and experience the amazing experience we had with them.